There are a lot of misconceptions surrounding cryptocurrency and tax laws. 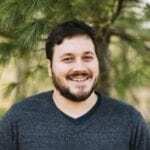 Drew Kernosky from Archer Tax Group has been in the crypto world for two years. He informs us that the IRS put out a notice about their five focus areas for the next year where they’re going to crack down on virtual currencies. Drew shares some cool ways which you can look at that to understand what’s going on and limit your liability. I have got Drew Kernosky from the Archer Tax Group. 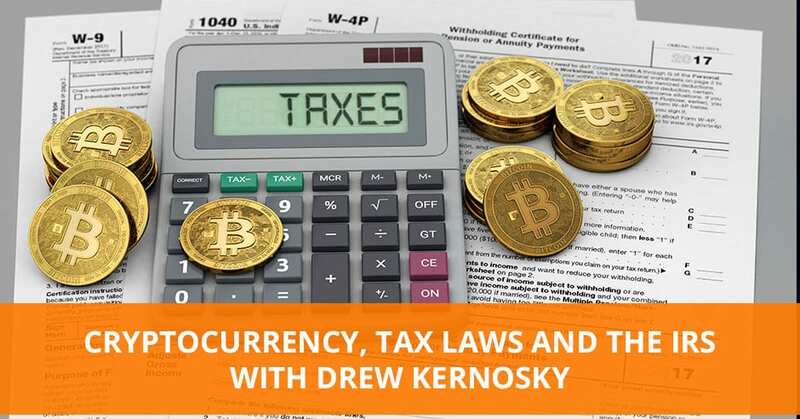 You told me some cool things but there are a lot of misconceptions around this and other things going on in cryptocurrency and tax laws. Do I get to pay taxes on my cryptocurrency? The IRS put out a notice about their five focus areas for the next year where they’re going to crack down. Number two is virtual currencies, which is IRS code for crypto. They’re wise to it, they’re on it, and you’ve got some cool ways which you can look at that and understand what’s going on and limit your liability. Tell us a little bit about some of the ways you can analyze this and how long have you been working in crypto. I’ve been in crypto for about two years. I actively invest mine and trade and I work with a couple different ICOs as well. We’ve got our fingers in all parts and I’m a firm believer that if you don’t understand what you’re dealing with, you should be consulting on it. We’re arms deep in crypto. If you don’t know what you don’t know, you better consult someone. That’s why I have people come to me for taxes. Within this space, we start looking at the nuances in the law and trying to understand how the IRS is going to interpret, especially the 1031 exchange. A lot of people thought 2017 was the last year that you could file that. When you look at the actual laws and the court cases, there’s not a compelling argument where the IRS is going to allow a like-kind exchange. Not to mention everyone is claiming like-kind exchange is doing The Office’s Michael Scott, “I had declared bankruptcy,” but they didn’t file any of the appropriate paperwork. There’s a form for each transaction. When you have 3,000 transactions, the number of fees you’re going to pay isn’t going to be worth the tax savings for a lot of people. That’s the big push that we’ve been getting out there. There are all sorts of things that you need to be aware of. You can change your accounting period for each individual coin which can help offset especially with people who have losses now. Cryptocurrency And Tax Laws: If you don’t understand what you’re dealing with, you should be consulting on it. You could offset it over the course of the year. That’s a smart strategy. You might have some coins where you’ve got some gains and then as you trade up, you will have some losses to offset. I’m assuming you do tax advising through a lot more businesses than just crypto business. I’m going to tell you because I have a lot of Amazon sellers who are my clients and my fans out there and I want them to also consider that as a strategy. When you get fourth quarter inventory heavy and you’re gearing up for Chinese New Year, you’ve got a lot to shift at the end of the year. Now you’ve got all this inventory on your books that are not going to move fast. You might want to consider a change to your tax a year. How smart would that be? That’d be huge and it also helps if you’re busy and you’ve got the end of the year, you won’t be dealing with filings at the same time too. It can save a lot of headache for the business owner and your tax professional will give you a break as well if you’re not coming in with the business time of the year. We get tips all around here at ChainXChange on all kinds of business and technology and how we are going to be seeing regulation compliance and other things in the future. Is there anything else that you want everyone to know about what’s on the forefront with crypto? Bringing things into the light is the biggest thing. There are a lot of different opportunities. If you can’t afford to pay your tax bill, you can get on a payment plan. A lot of people don’t know that, so they panic sold at the beginning of the year. Maybe I’m a little bit biased being a tax guy but that had an impact on the market’s trending downwards as people felt like they had to abandon ship quickly and that’s not the case. We’re going to do a follow up with you because I could pick his brain all day because I want to talk about corporate formations and how it matters and a bunch of other stuff. We’re going to do an in-depth, but I wanted you to see some of the cool people who are at ChainXChange in Las Vegas. My name is Andrew, but you can call me Drew. I always knew I wanted to own my own business, but what that business would be has morphed some over the years. I received my Bachelor’s Degree in Finance from Western Michigan University, where I focused on small business and real estate. 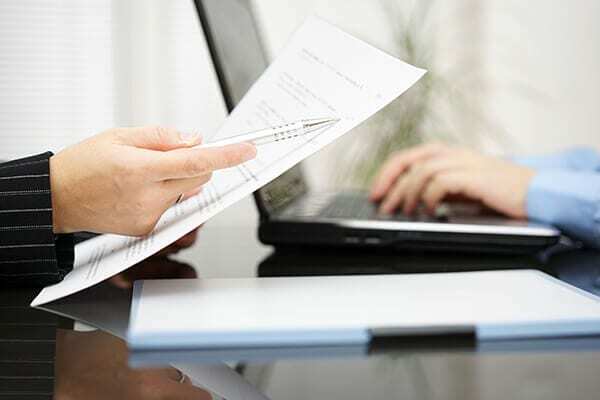 After working in the real estate world for a short time, my financial experience leads me to job preparing taxes and assisting with tax resolution. I knew then I had found the perfect fit. Tax law genuinely interests me and all of my research morphed into studying for certification. In 2015, I became an Enrolled Agent with the IRS and have loved my work since. In 2016 when cryptocurrency first began surfacing in news and discussion groups, I read everything I could get my hands on. Crypto is a specialty of mine. I have followed all of the trends and politics from the very beginning and have been able to assist many through advising and tax preparation.